Future Creative was brought on board to rebrand a well-established and highly regarded business with a long-term identity in the area. 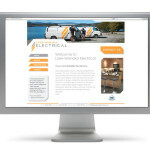 The key was to retain the Lake Wanaka Electrical identity but to also enhance their reputation as being reliable, easy to work with and professional. 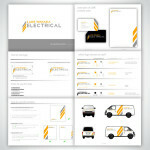 Dan worked closely with JOLT marketing and delivered a package including logo, stationery, website design and van signage. The use of the stripe became their identity and we created die cut business cards as a point of difference. 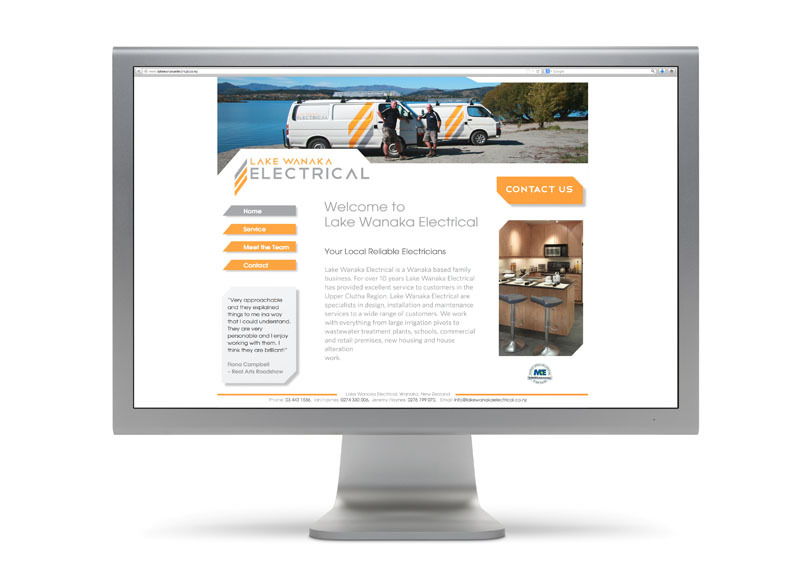 The prominent application of the brand reinforced the presence of the new look of Lake Wanaka Electrical around the locality. 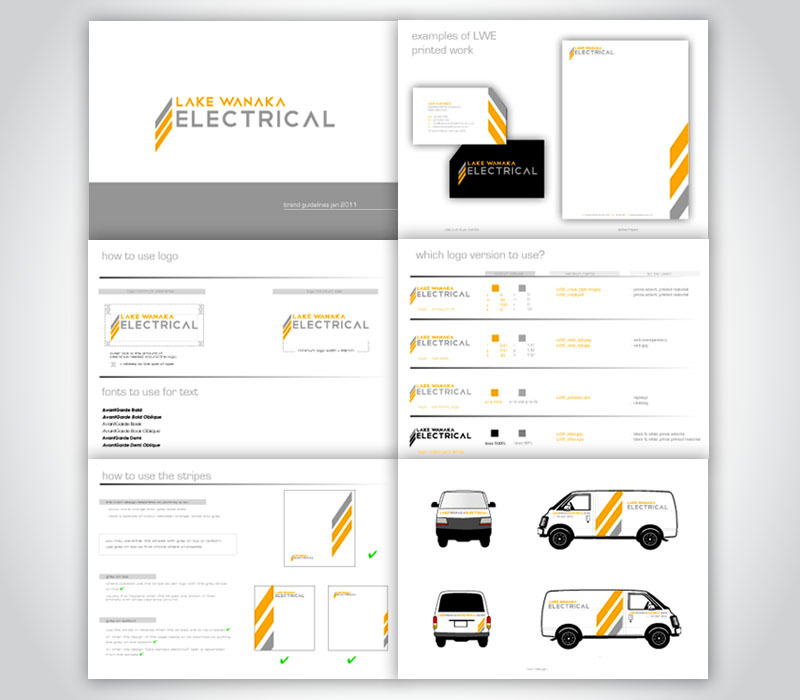 If you have a great new logo that you are happy with – use it everywhere!